Amongst all the books on Tibet (and Tibetan Buddhism), Tibet, Tibet holds a very unique position. It’s part travelogue, part history text and part socio-political analysis. 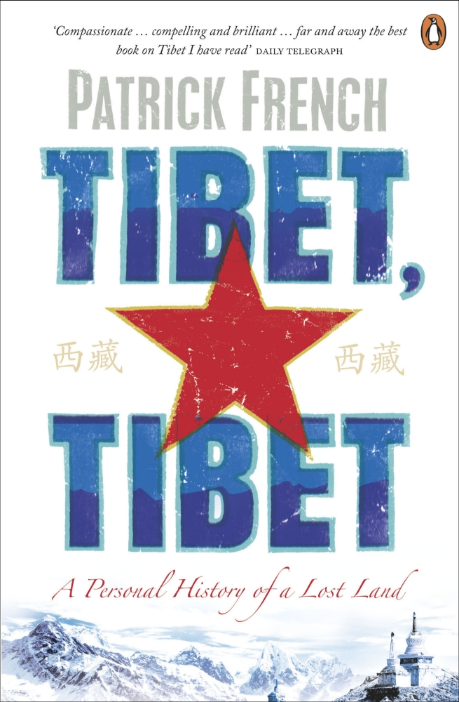 Patrick French—in a very risky fashion—ventured into remote locations of Tibet. With all the security and the active efforts of the Chinese troops to veil their internal situations to the outer world, I must say that Mr. French’s venture might have turned into a disaster. He could have been killed, or worse, captured. That being said, I thought that the book provided with one of the most balanced views on the Tibet issue. In spite of him once being the head of the erstwhile Tibet Support Group (UK), he presented the problems with Tibet that have led to the situation today in a very neutral manner. This includes the bipolar—and often alternating—views and alliances regarding the British infiltration in late nineteenth and early twentieth century, the communist takeover, Dalai Lama’s exile and all his missed opportunities. He also doesn’t spare Mao Zedong and his naive ideologies (with some horrific consequences) that have led to the creation of today’s China. There were many things that were new to me. One of the key blows by the book is the shattering of the idea of a romanticised utopia inhabited by peaceful monks spiritually leading a pacifist society. He uses the term “the mind’s Tibet” to refer to this vision. In reality, there has always been feuds between the various schools of Tibetan Buddhism. It was a competition to secure patronage from kings and feudal lords, which in turn formed their primary means of survival, both from a financial as well as ideological point of view. Historical records show that events are not all rosy and peaceful either. When a religious system is driven by a political system, pacifist ideology usually takes a backseat to power and influence. Much of the practices, especially the tantrik parts, and all the superstitions associated with Tibetan Buddhism, traces its roots back to Bon. I had earlier read about this in Stephen Alter’s travelogue on his trip to Mount Kailash. There is a theory that suggest that Bon and Tibetan Buddhism emerged in the same era and might have fought out a competition to secure ground. The reincarnation myth is a common underlying theme that percolates the belief system of the region. Mr. French points out that many of the reincarnated spirits have favoured birth in influential families. It was almost as if the myth favoured political convenience over random chance. On the other hand, the failures and the resulting oppression of Mao Zedong and his Chinese communist ideology are well-documented elsewhere. Mr. French focuses mostly on the aspect of Tibetan assimilation into the Chinese machinery. It was—and still is—a very violent process. Eventually, this would lead to a discontinuity in the cultural history of the Tibetan people. Whenever that happens, the affected group of people always lose their ancestral cultural identities and are forced to reinvent a culture and an associated myth to define their identity. The real ramification of such an event would adversely affect the protesters in exile. Even if they win the fight, they would have done it for a society that would have no recollection of the identity for which the war was fought for and won. Mr. French points out that when the current Dalai Lama dies, Indian government might stop supporting the Tibetan cause. While I think that is highly unlikely, I am not aware of the terms of refuge or the current political dynamics. Many Tibetan refugees will slowly assimilate into the Indian diaspora. Many would migrate elsewhere. In my travels, I have personally spoken with many such people. Like all displaced people, they’ll just build a new myth to ensure the continuity of lineage, even if that means constructing a new history altogether. Then again, society only allows temporal backtracking of these constructs only to a certain convenient point in history. The story behind the acoustic cover of "Arriving Somewhere..."